If, after learning how easy it is to bring your pets to Mexico, you decide it is time to make the move to Puerto Vallarta, contact the professional realtors at Tropicasa Realty at info(at)tropicasa.com. Puerto Vallarta, Mexico - If you have a four-legged family member and buy real estate in Puerto Vallarta, you will likely have questions about bringing your pet to Mexico. Luckily, moving to Mexico with a pet isn't particularly difficult, if you are prepared with all the necessary documentation for the Mexican Agricultural Office (SAGARPA) when you arrive at the airport. In the case you arrive in Puerto Vallarta and something is amiss with your documentation, SAGARPA will assist you with bringing a veterinarian to the airport to examine your pet and certify any additional requirements or information missing from the health certificate. 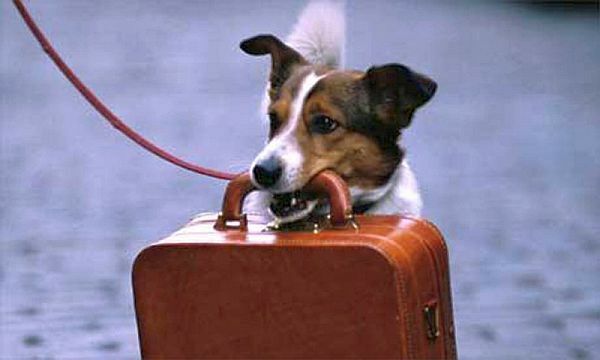 However, after traveling, waiting at the airport for the vet is an added inconvenience and expense, so ensuring all your furry friend's travel documents are in order will get you to your Puerto Vallarta condo or home as quickly as possible. Puerto Vallarta is a very pet-friendly city, and your loyal pal will love the laid-back lifestyle just as much as the rest of the family. For further information about bringing your pet to Mexico, click HERE. For more Puerto Vallarta real estate and lifestyle tips from Tropicasa Realty, click HERE.